Need Help with your order? Contact us with your questions. Dragon boat technique can draw on a number of influences which may include sprint canoe and kayak, marathon canoe or outrigger canoe. 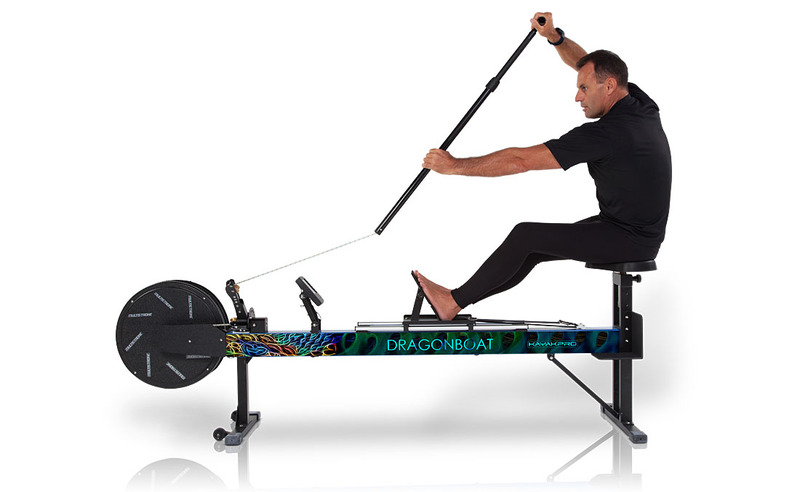 Because of this there is possible variation in effective mechanics for dragon boat. The summary below is a generic overview of the stroke that involves all disciplines. The stroke should be practiced on the erg with a range of motion and stroke length that replicates the desired result in the boat. Excessive motion to generate a faster time on the erg at the expense of technique is a questionable practice. The torso is tall with a slight forward lean to improve leverage. The top arm is as open with a slight bend to find the strongest possible upper side support. The bottom arm is parallel to the “water” and not over extended. The paddle side is wound through the torso with the legs stabilizing the set up position to optimize a sense of pre-loading the stroke. The motion to the catch is slightly downward to ensure both upper and lower side recruitment. The catch is best done with paddle side oblique compression and hand motion timed to ensure torso recruitment as much as possible. The body spreads the de-rotation through the pull phase by keeping the upper shoulder back as long as possible in mid-pull. The paddle side leg/hip engages to stabilize and contribute to torso recruitment as desired. The pull phase generates power by mainly torso rotation, but also assisted with an upper side downward pressure as the paddler presses up through the stroke. The paddle side shoulder stays low through the last part of the pull phase to ensure the best possible connection as long as possible before the exit. The stroke continually accelerates through the pull phase to ensure the highest degree of pressure/connection at all times. The exit is as clean as possible with the paddle tracking back to the set up with the minimum of extraneous motion of the arms and a brief relaxation to prepare for the next pre-loaded set up. * Notes provided by Jim Farintosh – Canadian Team coach. such as we have in much of Canada. It faithfully reproduces and effectively mimics the sport we love." "As one of Canada's premier national women's coaches, I can say that the D1-M erg was an indispensable tool for dry-land testing in helping select athletes for the national team. Furthermore, the ability to provide individual feedback, which does not happen in a dragon boat, is of huge value in developing elite level dragon boaters. And of course its benefits as a coaching tool for both physical training, and being able to stand beside an athlete and teach them movements are obvious!" 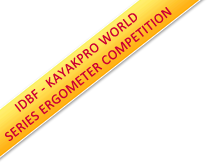 the use of KayakPro Ergometers played an important part in our Team’s athlete preparation and testing"